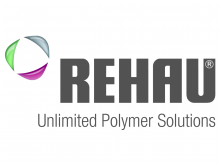 As an independent and privately owned company with over 120 branches, 44 plants and 12 training academies across 53 countries, REHAU is one of the world’s leading polymer solutions providers. Their products are found in a wide range of applications from energy efficient PVC windows and automotive bumper systems to life-preserving medical components for the healthcare industry. In Australia REHAU introduced its RAUTITAN plumbing system in the early 1990’s. The system was developed in collaboration with industry professionals in order to meet the needs of builders and the plumbing trade. It is simple and quick to install and has proven to be very reliable and saves time, labour and material costs. The strength and flexibility of cross-linked polyethylene (PEXa) pipes used together with a range of dedicated DZR brass and PPSU polymer compression sleeve fittings, makes this a superior system which can be used in residential and commercial applications, for hot and cold water services, rainwater services from tanks into the building and even to distribute recycled or reclaimed water from the mains into the building.